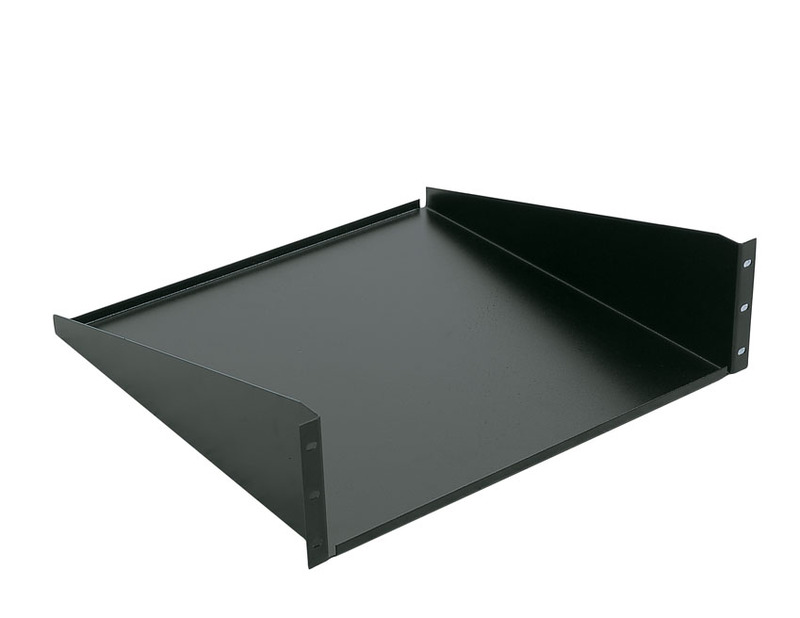 A handy shelf that mounts via rack rail in carts and lecterns. 97502 utilizes 3 RU's and has an 80lb capacity. Designed for standard rack spacing with at least 18" of depth.